Instant delivery to your Email / SMS upon payment verification. You can request for delivery via Whatsapp through your Order notes during checkout. Rapidbump Customer Protection | Help? 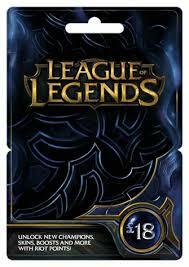 LOL Riot Points Cards allow you to purchase Riot Points for use only at the League of Legends Online Store, located within the League of Legends client. With Riot Points you may acquire the use of champions, alternate character skins and other premium virtual items for your League of Legends account from the League of Legends Online Store. They really make my life easier. Convenient, fast response and most important is trusted seller. Thanks so much Rapidbump!